A Temporary Protective Order (TPO) is a formal order issued by a judge that blocks a person from having any contact with the person filing the TPO. A TPO serves to protect people (often a parent and minor children) from harm caused by harassment, intimidation or physical abuse. 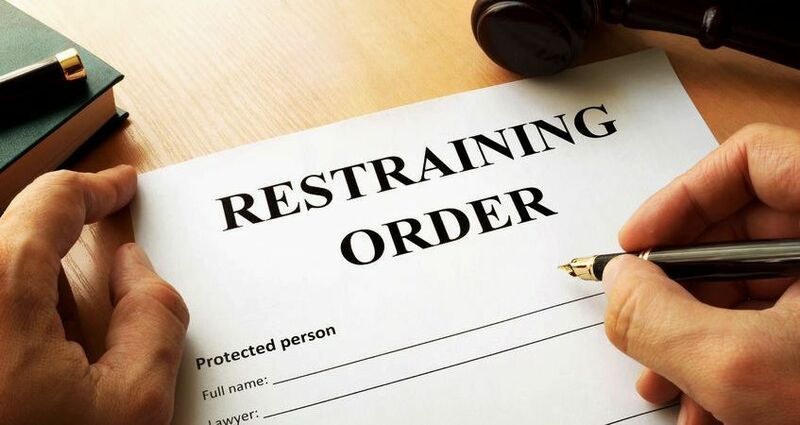 In some states a temporary protective order is known as a restraining order. Call us at 678-880-9360 if you need a Temporary Protective Order. If you are in immediate danger CALL 911 or go to a nearby shelter! A TPO can be obtained and served on the other party in about 24 hours. The protections provided by a TPO are effective immediately when the Order is served by the Sheriff's department. A temporary protective order is usually valid for two to three weeks. A court hearing will be scheduled to evaluate the circumstances, and determine if the order should be dropped or extended. The petitioner and respondent are both required to attend the hearing and each may present their case for extending or dropping the order. If the court decides to extend the protective order it could be for several months, or given a permanent status in extreme situations. What does a TPO do for you? A temporary protective order generally forbids the alleged abuser from having any direct or indirect contact with the person(s) provided protection under the court order. Common stipulations are requiring the respondent to stay at least 1500 feet from the persons protected, no forms of communications between the parties, and other similar requirements to block contact. You can attempt this process on your own, however; hiring a family law attorney can increase your odds of getting the TPO you need. Obtaining a restraining order in Georgia is a two step process. First, you must visit with an advocate to complete an initial screening which documents the reasons and evidence for requesting a TPO. Upon completing the screening you are required to swear an oath that the information provided is real and accurate. Your request is then prepared to be handed to a Superior Court judge for consideration. Second, you are required to appear before a judge in court, briefly summarize your situation and answer any questions the judge may have for you. If the TPO is granted the TPO can include directives on temporary child custody, child support, spousal support, and possession of the marital property. If your request is granted you will be escorted to another area of the courthouse where the protective order will be prepared, stamped and handed to you. The court system will have the TPO served on the alleged abuser by a sheriff’s deputy within hours of the order being granted. You should familiarize yourself with every detail of the order. Also keep a copy of the TPO on your person at all times in the event police are called. It may be necessary to advise your children's school, daycare or caregivers of the situation. The police will need to read the order to handle any issues in an appropriate manner. If you need information or assistance getting a TPO in Georgia we invite you to schedule a consultation with family law attorney Ashley Carlile. Sometimes a person may obtain a TPO based on false assertions. This is not only an injustice but also a matter that can affect your personal reputation or job. If you have been unjustly served with a TPO we can represent you to request theTPO to be lifted.